Super 8 Motel Newport News/Jefferson Ave. The hotel rooms feature complimentary high speed Internet, 27 inch TV with extended cable, refrigerator, microwave, coffee maker, hair dryer & iron/ironing board. We also feature a Free Deluxe Continental Breakfast, Fitness Center, Guest Laundry and an Outdoor Pool. 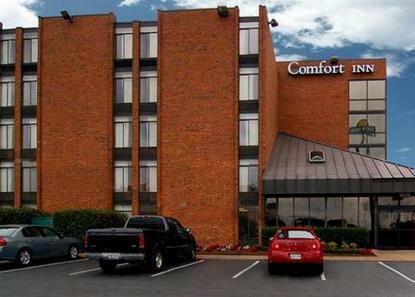 The Comfort Inn is conveniently located within walking distance of the Hampton Roads Convention Center, Hampton Coliseum and the Coliseum Mall. This Hampton hotel is just minutes away from the Virginia Air & Space Center, BuckroeBeach, Hampton University, Boo Williams Sports Complex & the New Power Plant of Hampton Roads. We are also walking distance to a wide variety of restaurants.